I was doing some spring cleaning yesterday and found this lead sheet in a stack of old papers. 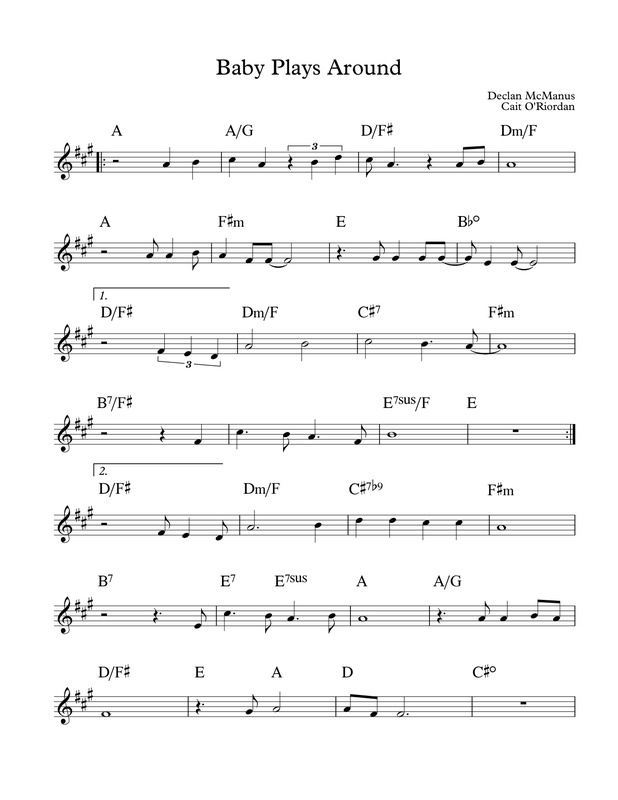 I transcribed it from Elvis Costello’s 1995 album Deep Dead Blue, recorded live with Bill Frisell when Costello curated the Meltdown festival in London. Elvis has recorded this ballad a few times (and I’m listening to Brad Mehldau’s trio version of the song while writing this), but the duo version with Frisell is my favorite. A random connection to my last post on Kenny Wheeler’s “Heyoke”: both Brad and Keith Jarrett seem to quote “Happy Days Are Here Again” in their impressionistic solo cadenzas to the respective tunes. 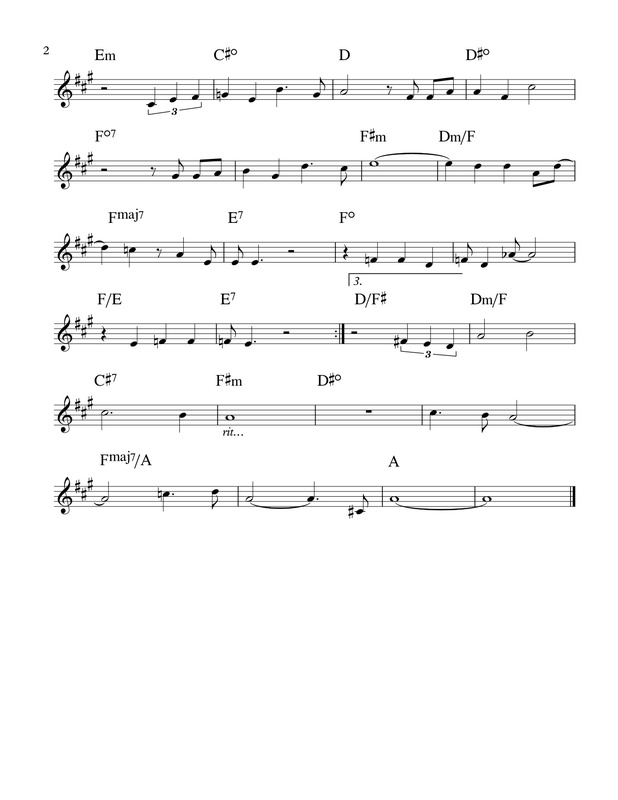 This entry was posted in Uncategorized and tagged Baby Plays Around, bill frisell, deep dead blue, Elvis Costello), lead sheet, music, Noteheads, transcription on March 26, 2013 by noteheads.